Definition - What does Parivrtta Ustrasana mean? 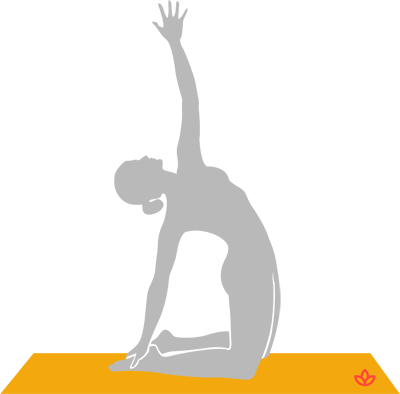 From a kneeling position with the thighs perpendicular to the ground, one arm reaches to the sky while the other reaches back to the feet, creating a twist as well as a back bend. Parivrtta ustrasana is also known as revolved camel pose in English. Traditionally, parivrtta ustrasana is believed to open three of the chakras, or energy centers in the body: anahata (heart), visuddha (throat) and sahasrara (crown). Activating anahata is associated with love, compassion and forgiveness. Visuddha and sahasrara are spiritual chakras. Opening visuddha is associated with a higher communication, authentic expression and the yogi's highest truth. Sahasrara is the connection to the Divine and the source of enlightenment. Parivrtta ustrasana has a range of physical benefits, including stimulating digestion, and is thought to be effective for reducing stress, anxiety and fatigue.